Which of the choices below most closely resembles the typical relationship your marketing team has with your audience? They are strangers who might randomly happen upon each other and try to strike up a conversation. They are acquaintances who recognize each other and can chat casually, but rarely go beyond small talk. They are friendly familiars who interact in the same social circles and engage in common interests, but haven't quite connected on a one-to-one level. They are trusted companions who understand each other's passions and points of view, and feel comfortable sharing an experience or working together to solve a problem. Whether you are looking to take a casual customer relationship to a deeper level, or want to maintain a trusted connection you've already established, chances are your business can benefit from adding personalization to its marketing strategy. Personalization involves taking cues from the consumer data you gather, and using that information to craft and deliver messages tailored to the individual's relevant needs and interests. 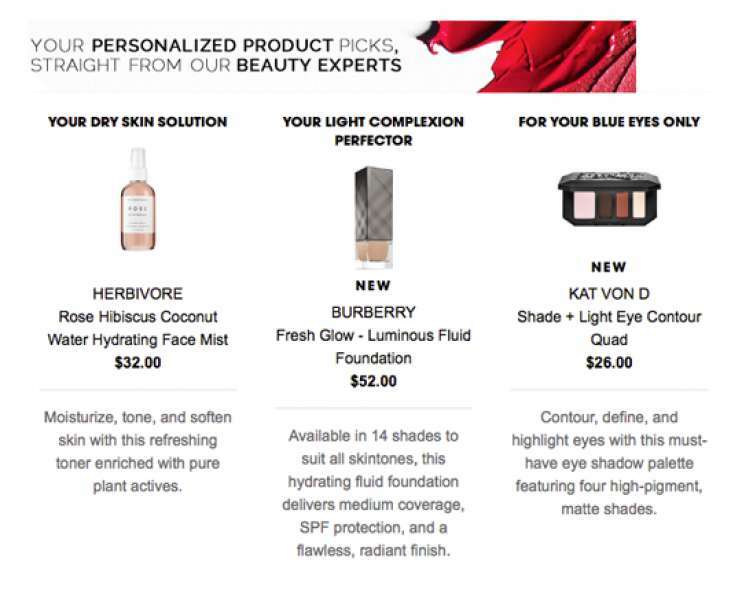 There are lots of ways to personalize marketing content — from customizing a newsletter with a recipient's name, to issuing a coupon based on her prior purchases, to sending her a friendly reminder that she has items waiting in her online shopping cart. There's little doubt that businesses today need to embrace any opportunity to communicate on the consumer's terms. However, this type of campaign needs a lot of fuel just to achieve proper lift-off, let alone to stay aloft over the long term. In fact, according to the latest Future of Content report from Rapt Media, as discussed in this article from KoMarketing, 83% of marketing content creators consider personalization to be their top obstacle. Why is it so challenging? For starters, it can be difficult to manage the complex processes that go on behind the scenes — from gathering and analyzing the necessary data, to properly segmenting the audience, to developing and deploying meaningful content across all the appropriate digital channels. Even worse, if your messages are placed in the wrong context, or your campaigns are based on incorrect or incomplete data, personalized content can be seen as an unwanted, or even upsetting intrusion – scaring potential supporters away, instead of drawing them into your business's inner circle. At Prove, we have evolved processes that help our clients take full advantage of the power of personalization — as well as a wide range of insight-driven techniques that have the potential to increase ROI while reducing marketing costs. If your business is interested in pursuing a customized consumer acquisition and retention solution, give us a call — we promise you'll get our undivided attention.